Arsenal's injury situation has been in the news recently. Arsenal.com's Richard Clarke spoke to physio Colin Lewin to put the record straight. 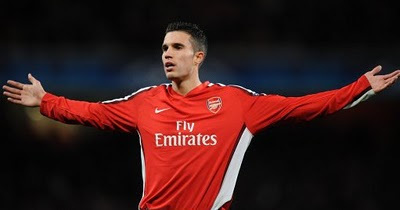 Robin van Persie is on course to play some part in Arsenal's Premier League title run-in after the club's physiotherapist, Colin Lewin, said he would return to full training immediately. Andrey Arshavin last night raised serious doubts that he would play for Arsenal again this season by revealing he had suffered not one but two muscle tears against Barcelona nine days ago. Cesc Fabregas will be fit in time to play for Spain at the World Cup even though he is expected to miss the rest of the season, according to Arsenal physio Colin Lewin. After the foreign affairs comes the domestic introspection and the feeling that the Premier League needs new faces if it is to ensure that this season' s European disappointment is just a blip. Arsenal will make significant changes on and off the pitch this summer. Arsène Wenger is ready to make central defence a transfer priority while Stan Kroenke is poised to make a potentially pivotal decision in the long-term battle for control of the club. Gael Clichy is feeling better with every game after getting his second 'pre-season' out of the way.